Basketball and futsal are two sports that share many characteristics; They are 5v5 invasion games played in a similar sized area. The underlying objective is to gain possession of the ball and find space near the opponent’s target to create an opportunity in score, or deny space and regain possession in defence. The main differences are the use of the hands instead of the feet and that scoring from a distance is worth more in basketball. These differences are of much less importance than their similarities and, as a result, they share the same fundamental nature. So it comes as no surprise that many of the tactical strategies and approaches are alike. In this post I will discuss some of those used in the NBA and how they relate to futsal and can be a source of inspiration. Last season the unfancied Golden State Warriors won the NBA Championship using a style of play known as ‘Small Ball’ that is becoming increasingly popular in the league. Traditionally, basketball was played with two post players, known as the center and power forward, playing near the basket; and three other players that stayed on the perimeter, outside the 3 point line. Play often focused on getting the ball to one of these post players who were able to score from short range using their size and strength. A rule change that eradicated prohibiting zone defences around 15 years ago made this type of play more difficult as teams blocked passing lines into the middle and could crowd the area when the ball did get through. To counteract this some teams started to employ the small ball strategy by employing just one player, the center, near the basket and the rest of the players on the perimeter. The idea was to free up this post area by forcing zone defences to become stretched as they marked the players on the outside. The change in role of the second post player to spending more time on the perimeter meant they needed to be more versatile, agile and quicker to face up their opponent on the outside rather than rely on brute force in the crowded post area. These players had a more all-round skill set making them suitable for different positions on court and, as mentioned in a previous post, this follows the trend in all sports over the last 20 years. It is known as small ball as these skill sets are associated with players of shorter stature, though the actual height of these players has not always been smaller. A related development occurred in futsal as defences evolved and applied more zonal principles to cover passes into dangerous central areas and protect the space. Teams responded by being more mobile in attack to free up the passing lines to the pivot. Further some teams utilised more versatile pivots with an all-round set of abilities rather than ones that relied on size and strength. These more mobile pivots could come back to join in with the build-up play. An additional benefit was they were more suited to quick transitions, the most efficient way to score in both sports. Another motive for this trend is the short supply of high quality pivots with the traditional attribute of physical strength, just as there are a lack of traditional centers in the NBA. This innovative tactic has continued to advance and during the NBA Playoff Finals Golden State decided to start a game without any traditional post players at all, rarely seen before. Having more agile players, it requires quick and constant player and ball movement to capitalise on this advantage. They have continued to utilise this strategy this season with a lot of success, currently on a 22 consecutive victory record breaking start, and is now being copied by other teams in the league. 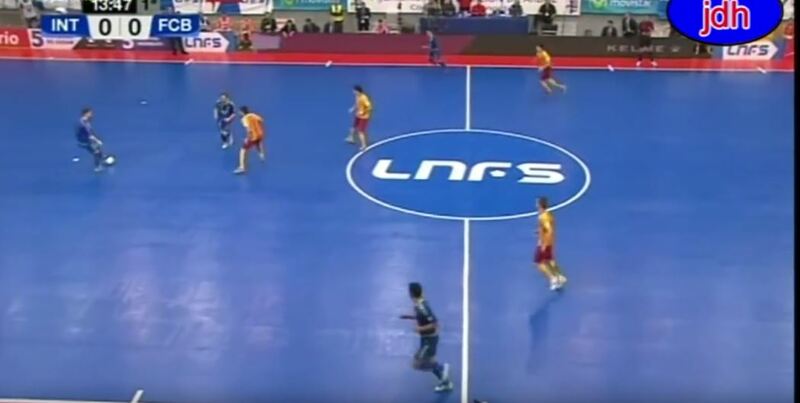 The similarity to futsal can be made with the pivot-less 4-0 system. In both sports not having a fixed target player leaves the defence with a choice; come out to match up the attack and leave the space near the goal/basket or have a defender wait in the space to try to pick up runners and be outnumbered on the outside. The risk for the attack is you crowd your own space which is why, in both sports, it is important that you have players make penetrating forward runs behind the defence. The ball moves faster than a player, so fast ball circulation has been another strategy to counteract zonal defences that move as a block. The idea is to disorganise the defence and get them out of position. Over the last 15 years most of the NBA’s champions have employed this type of approach which can be compared to the fast ball circulation and possession based style that has been used in Spain for the same reasons to much success. Next I take a look at the attacking systems of two of the best NBA teams during this period, the San Antonio Spurs and the LA Lakers. Watch the clips of the Spurs, who have won 3 of the last 10 championships, in the video below. Many of the movements and principles used by San Antonio here are also familiar in futsal. Below I have identified some of these. 1) The use of spacing (the distribution of attackers on court) with repeated switches of play and moving the ball forward and then back out. A zonal defence will travel as a block so the quick ball circulation will move them until space is created away from where they are concentrated or in between them if they have become stretched. 2) Changes of rhythm. Periods of quick ball circulation to try to disorganise the defence but interspersed with pauses to allow the attackers to reorganise before quickening up the tempo again. 3) Maintaining balance. Co-ordinated movements so, for example, if one player makes a deep run, a teammate comes short to provide an easy pass and be in a position to defend if there is a loss of possession. 4) If the ball carrier attracts a double team then look to get the ball to the free man who will have time and space. 5) Back door cuts, a movement behind a defender if they try to overplay (in a position to anticipate). My former teammate and World Cup winner Marcelo was an expert in these movements. 6) Lots of blocks and screens with the attacker carrying out the block or screen, maintaining eye contact with the ball whilst continuing their movement to receive a pass if there is confusion in the defensive marking responsibilities, known as a pick and roll. This can also create mismatches where a defender ends up marking an attacker that they are not suitable to defend, often pre-planned, something that is not a strategy used in futsal. 7) Isolation plays where the attackers move away (onto the weak side, opposite where the ball is) from a good 1v1 player to avoid the other defenders being able to help and cover if he beats his defender. 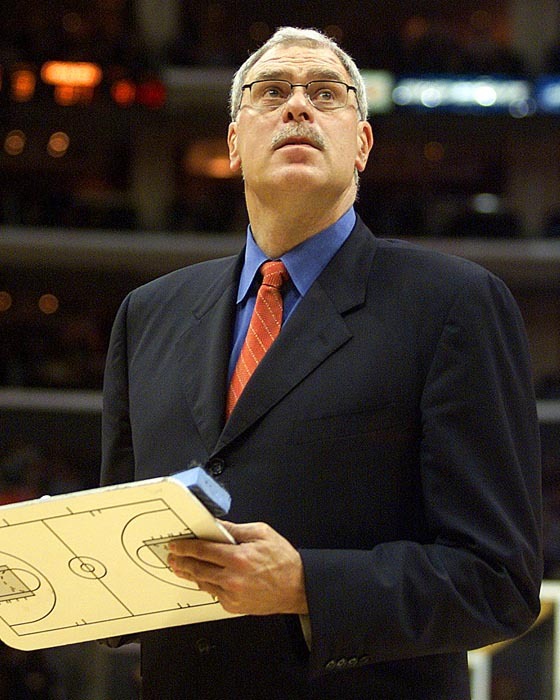 The LA Lakers won 5 championships between 1999 and 2011 while they were coached by Phil Jackson (he was not coach for one unsuccessful season in that period) who used a system known as the Triangle Offence. It made hime the most successful NBA coach ever by adding to the 6 championships he won with the Chicago Bulls, where he had first implemented this system. It is called the triangle because the attack starts with a triangle formed by three players on one side of the court, this type of positioning is also used by some futsal teams. It maximises passing lines and leaves space for the player on the opposite wing. Below are some of Jackson and his assistant Tex Winter’s principles of the triangle which could equally be applied to an attacking system in futsal. > Ball & Player Movements – Players must move, and must move the ball, with a purpose. Effective off the ball activity is much more important than most fans and players think because they’re so used to watching only the movement of the ball and the player in possession of it. But there is only one ball and there are five players, meaning most players will have the ball in their hands 20 percent or less of the time the team is in possession of the ball. > Options for the ball handler – The more options a smart player has to attack a defender, the more successful that offensive player will be. When teammates are all moving to positions to free themselves (or another teammate with a pick), the ball handler’s choices are vastly increased. He must be able to pass the ball to all the other four teammates, so the players must be in constant movement. > Offensive rebounding and defensive balance – On all shots we take, players must go strong for the rebound while retaining court balance and awareness to prevent the opponent’s fast break. > Versatile Positioning – The offense must offer to any player the chance to fill any spot on the court, independent of the player’s role. All positions should be interchangeable. So far I have only looked at the attacking systems and their similarities, but clearly the defences that have to stop these will have plenty of overlap. Just as in futsal, defences in general can be placed on a continuum between a pure zonal defence and a pure man-to-man defence, dependent on the coach’s preference and the rules and principles they apply. It is interesting to see how well drilled and organised the more zonal defences in basketball are. Particularly how they maintain their distances between each other, protect the spaces, switch attackers, execute defensive help and recover their organisation when a teammate is beaten. Another notable factor about basketball defending is the aggressiveness, intensity and energy on both an individual and team level compared to futsal. Professional basketball has been around a lot longer and is a lot bigger than professional futsal and, therefore, a lot more resources have been ploughed into it. I would say basketball tactics are more mature, refined and better executed than in futsal. They appear to be better drilled than futsal teams and it would be interesting to see how they train. Another area where they are ahead is in analytics (See this article) and performance analysis (and they’re even way in front of football). The tactics used in the NBA are very accessible as there are lots of online articles that breakdown games and scrutinise the teams’ strategies and plays. A significant amount of basketball tactics and plays can’t be applied or transferred for futsal but I definitely think there is enough crossover that it can provide inspiration and ideas to develop strategies in our sport. And it is not just basketball but other sports such as handball, hockey (which uses a lot of pivot play) and football (which has taken from futsal) can all provide learning opportunities.